How to check whether my aadhaar card linked with my Bank of Baroda saving account or not? 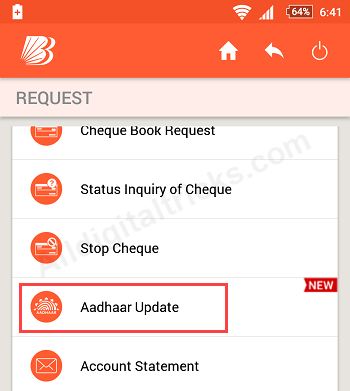 If you have same query then follow below steps to check online Aadhar – Bank of Baroda account linking status. As per the directive from Government of India under Prevention of Money Laundering Act, all Individual account holders, all Authorised Signatories of Non Individual accounts and Credit Card Customers need to link their Aadhaar number issued by the Unique Identification Authority of India (UIDAI) in the Bank records before 31st March 2018 or 6 months from the date of account opening, whichever is later to experience uninterrupted operations in the bank accounts and credit cards. 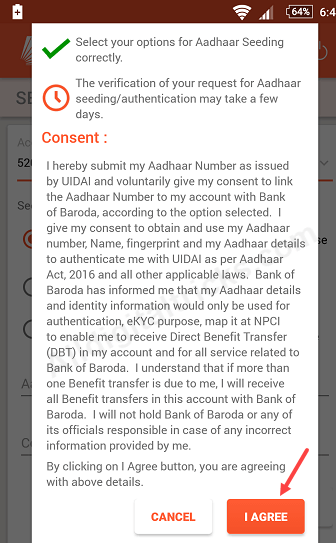 If you recently linked your aadhaar with Bank of Baroda account and want to confirm it, then follow these steps and check online whether aadhaar linked or not. 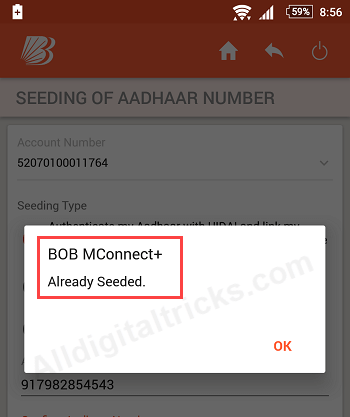 Let me tell you Now you can link aadhaar with BOB account online through M connect plus mobile banking application. 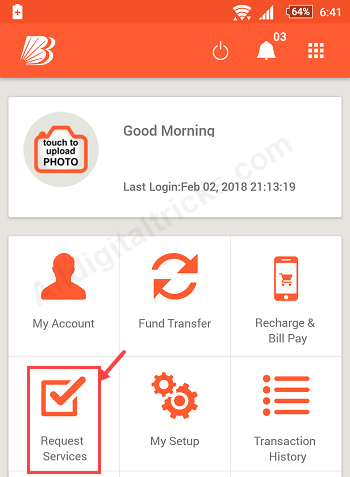 1: First of all login to Bank of Baroda Mobile banking – M connect Plus. 2: After login, tap on Request Services. 3: Next screen tap on Update Aadhaar. 4: Now tap on I Agree. 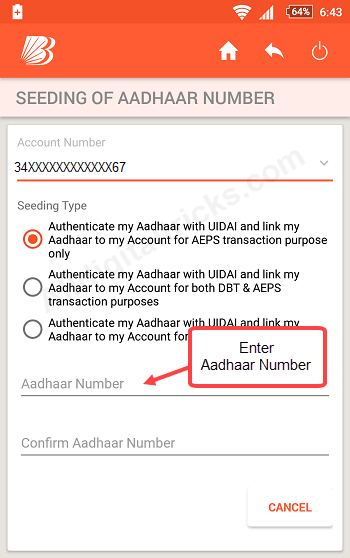 5: In next screen, type your 12-digit aadhaar number, once again confirm it. You can now see pop up screen saying that “Already Seeded” that mean your bank account is linked with aadhaar. So by following this simple steps Bank of Baroda customers can check online whether account linked with aadhaar or not.